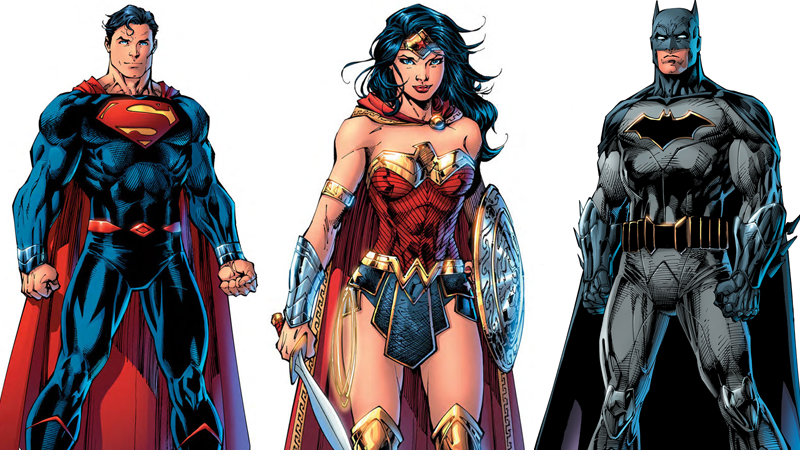 Although we’ve had some brief (and err, revealing) looks at some of the designs being used in DC’s upcoming Rebirth shakeup, this is our best look yet at some of the new looks the DC multiverse’s finest are going to be running around in in a few months. Rounding out the list of reveals are Aquaman (who’s developed an adoration for extraneous fins on his gear, apparently); Jon and Damien in their Robin and “kid Superman” get ups; Jessica Cruz’s much more traditional Lantern suit; and... well, I’m not really sure what to say about Harley’s new design. Sheesh. Still, a noticeable improvement on some of these character’s most recent makeovers.